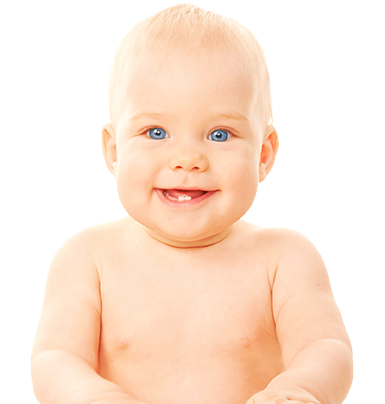 The primary, or “baby,” teeth play a crucial role in dental development. Without them, a child cannot che w food properly and has difficulty speaking clearly. Primary teeth are vital to development of the jaws and for guiding the permanent (secondary) teeth into place when they replace the primary teeth around age 6. Since primary teeth guide the permanent teeth into place, infants with missing primary teeth or infants who prematurely lose primary teeth may require a space maintainer, a device used to hold the natural space open. Without a maintainer, the teeth can tilt toward the empty space and cause permanent teeth to come in crooked. Missing teeth should always be mentioned to your family dentist. The way your child cares for his/her primary teeth plays a critical role in how he/she treats the permanent teeth. Children and adults are equally susceptible to plaque and gum problems —hence, the need for regular care and dental checkups. A child’s first dental visit should be scheduled around his/her first birthday. The most important part of the visit is getting to know and becoming comfortable with a doctor and his staff. 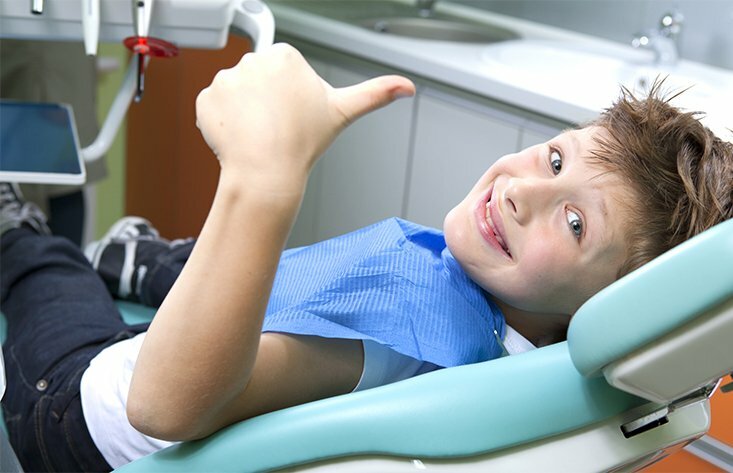 A pleasant, comfortable first visit builds trust and helps put the child at ease during future dental visits. If possible, allow the child to sit in a parent’s lap in the exam room. Children should be encouraged to discuss any fears or anxiety they feel. Primary teeth are important for several reasons. Foremost, good teeth allow a child to eat and maintain good nuttrition. Healthy teeth allow for clear pronunciation and speech habits. 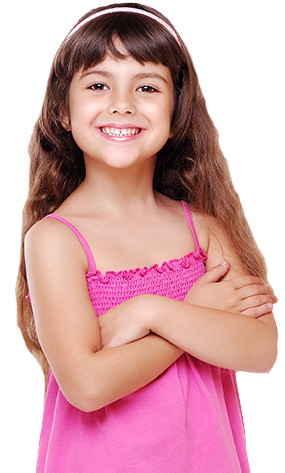 The self-image that healthy teeth give a child is immeasurable. The teeth, bones and soft tissue of the mouth require a healthy, well-balanced diet. A variety of foods from the five food groups helps minimize (and avoid) cavities and other dental problems. Most snacks that children eat cause cavities, so children should only receive healthy foods like vegetables, low-fat yogurt and cheeses, which promote strong teeth.